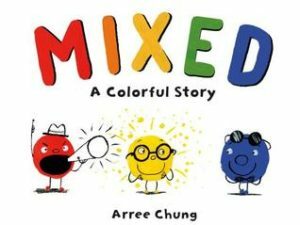 A fun book about primary colors, red, yellow and blue, and what happens when they mix (or don’t mix.) The underlying message is about tolerance and kindness and seeing the points of view of others; hopefully kids will take it to heart and apply in their own lives. A great read for opening up a discussion on social justice or even just to introduce the color wheel in an art class. The only thing missing was the “Ta Da!” at the end. I wanted to turn that last page and be surprised.